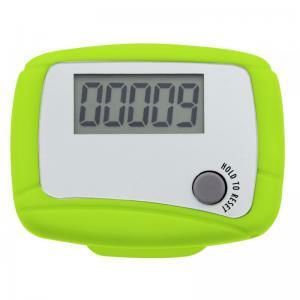 Custom imprinted marathon pedometer – lime green helps to count 99,999 steps and with each count, it makes your brand name stronger and healthier. 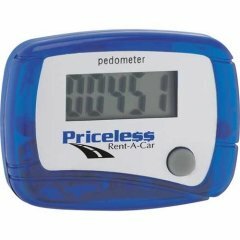 For an accuracy, it is perfect to wear this pedometer over the belt clip and hip. Perfect to promote your gymnasium, walk group, nutrition services, local marathon event and more. Available in various colors. Save on online design proof, which is offered FREE. We offer best buy pricing to marketers, who wish to bulk order it from us. Request a quote to know discounts that you can avail for these customized marathon pedometer – lime green.